Actor who has played the role of Jason Landers on the television show Aaron Stone and the role of Brandon Foster on ABC Family's The Fosters. He lived in many places while growing up including Louisiana, Georgia, England, Taiwan and Texas. He had TV movie roles in Den Brother and Pretty/Handsome. He has two sisters. He began dating his The Fosters costar Meg Delacy. 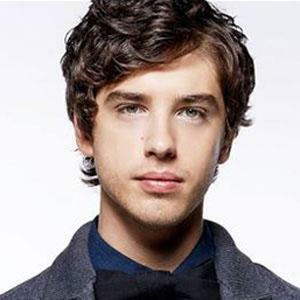 He previously dated actress Kaya Rosenthal. He acted alongside Kristen Bell in the 2013 film The Lifeguard.